Intex Aqua Star 4G, the latest smartphone from Intex Technologies, will sport a new iData Saver feature. This feature is able to reduce data consumption by up to 50% on images, webpages and streaming, especially with image-heavy audio & video apps, such as Instagram, YouTube, Gaana and Saavn. Intex is the first Indian brand to integrate Opera Max’s functionality into its operating system for the 4G-enabled device. 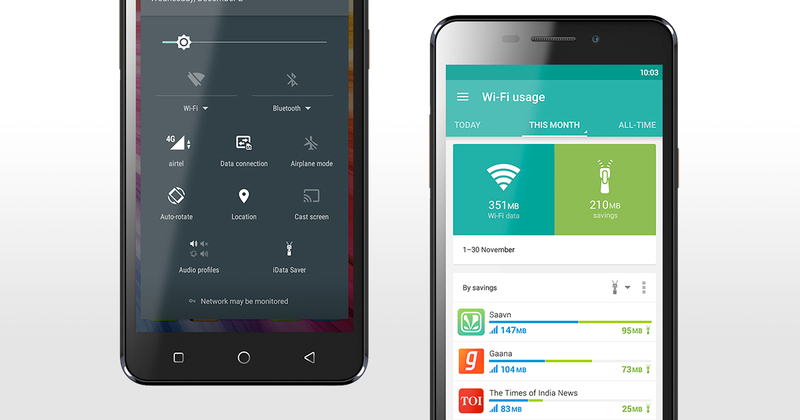 The iData Saver is powered by Opera Max, a data-management and data-saving app developed by Opera. Once the iData Saver feature is switched on, the new Aqua Star 4G will automatically start compressing the data consumed by most apps. Users will be able to save data by controlling those apps that consume mobile data, allowing them to get more from their data plans. With Opera Max, users can easily track the data consumed by individual apps, giving them better insight about – and control of – their data usage. “With the massive demand and high usage of smartphones, data consumption has become the most critical aspect for the consumer. Considering this changing behaviour, Intex has partnered with Opera Max to give its tech savvy consumers a built-in data-saving feature to control data consumption and get the maximum out of their data plans,” says Sanjay Kumar Kalirona, Mobile Business Head, Intex Technologies. “Opera Max has been a huge success in India; a large proportion of our global user base comes from the Indian market. This clearly demonstrates that India is a tech savvy market, whose users demand the best data plans and who also need a platform that helps them control their data consumption more effectively. We are extremely delighted to partner with Intex and pleased that they chose our Opera Max compression technology to enhance their users’ mobile experience,” says Nitin Bhandari, senior vice president for products at Opera. The Aqua Star 4G features a 5-inch HD (1280X720) IPS display, powered by a 1GB RAM MediaTek chipset. The device has a 1 GHz quad-core processor for smooth multitasking and runs Android OS Lollipop 5.1. The smartphone sports a sleek design, giving the handset a classy feel coupled with feather-like weight of 150 grams. It is powered with 2000mAh Li-Ion battery that provides a talk time of 5 hours, along with a standby of 150 hours. Apart from Data Saver, other key features include Swalekh and Matrabhasha. With Swalekh, the user is enabled to write in his or her own language, whether chatting, composing text messages, sending tweets, updating Facebook, blogging or writing emails. Swalekh comes with word prediction (English to Native) and auto-correct. It is supported by a native language keyboard. The Matrabhasha service enables communication in 21 regional languages including Hindi. Amateur photographers and selfie lovers will enjoy using the handset’s brilliant 8MP rear-facing camera with LED Flash to capture vivid images effortlessly, as well as a 2MP front-facing camera to click beautiful selfies with various modes, even in low light. The feature-packed Aqua Star 4G comes at a modest price of INR 6,499 and is available in three premium colors – white, black and grey.